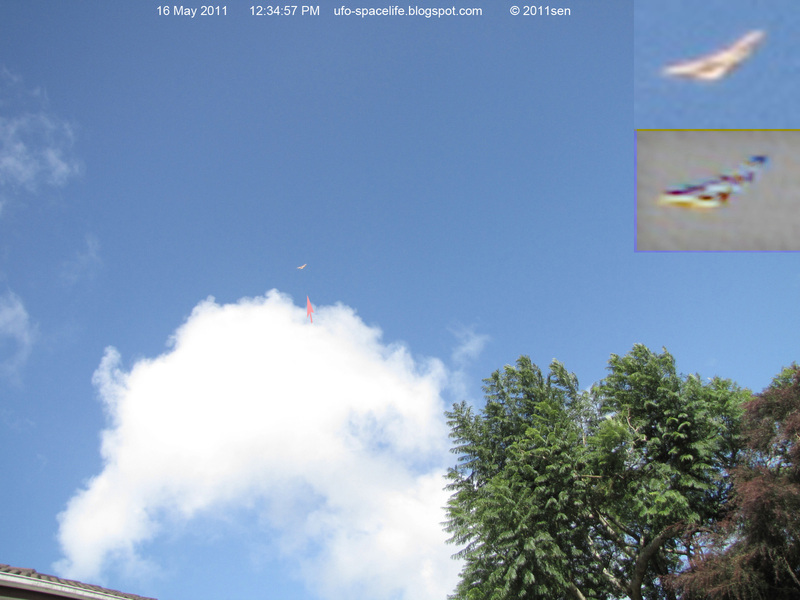 Today 12:34PM I captured three continued pictures of Beige color boomerang UFO. This is the fourth time it came for visiting. The first picture shows it in perfect boomerang’s shape. 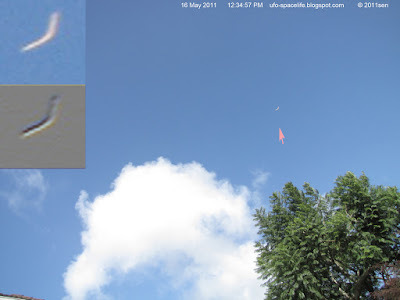 The second picture shows it became a bit like the triangle shape, it formed by 10 dome shape UFO objects. At afternoon 1:52PM, one of the Beige color dome shape UFO even hang above my garden’s sky as high as my roof’s top. That is not the first time they dived down to meet me. But it does not show what the species is inside it. It seems they know me well, but I still do not know much about them.